Being spontaneous is not one of my strong points. As a family we have very busy school, work, athletic and social schedules, therefore there is rarely a night we do not have something planned. A few weeks ago when the Game On box arrived at my door, I worried when I could be spontaneous enough to play all four games, including: Big Picture Apples to Apples; Uno; Mad Gab and Bounce Off. The first spontaneous moment we had was last Sunday evening when AndiePandie had a friend over to complete a math home work assignment. They were the first ones to open the box and they loved the Anytime is Game time button & loved having their homework interrupted. Their game of choice was Big Picture Apples to Apples, needless to say there were many funny moments during our first spontaneous fun shake up! Next the Game On: Anytime is Game Time box made the commute into my school. It was report card time and a stress reliever was something my staff & I could use. First we decided to test the Anytime is Game Time button to signal when the games would begin in my office. 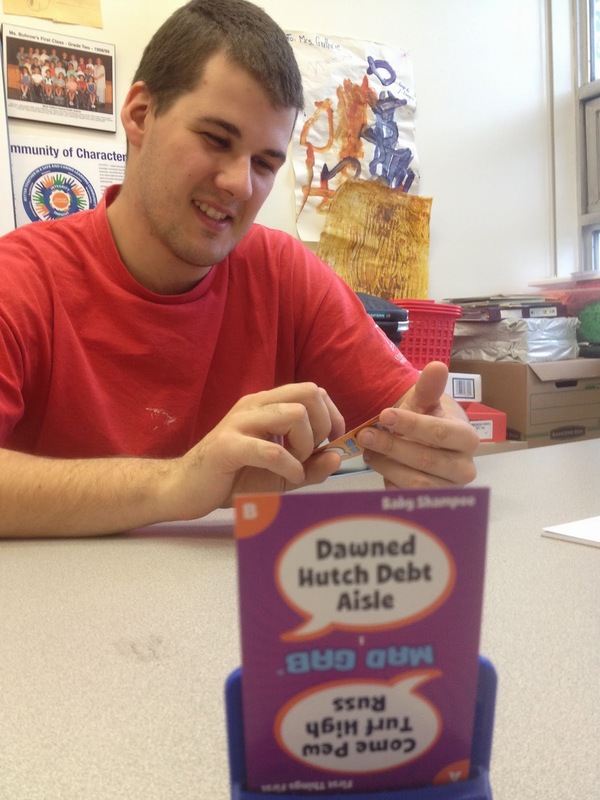 After school several staff members, from various positions around the school made their way to my office and Mad Gab was on the menu for our first spontaneous #GameTimeCAN episode. Our Custodian, Principal and an Early Childhood Educator made the first game a hilarious event! Who knew that my Principal would be a Mad Gab ninja and my Custodian a card shark? 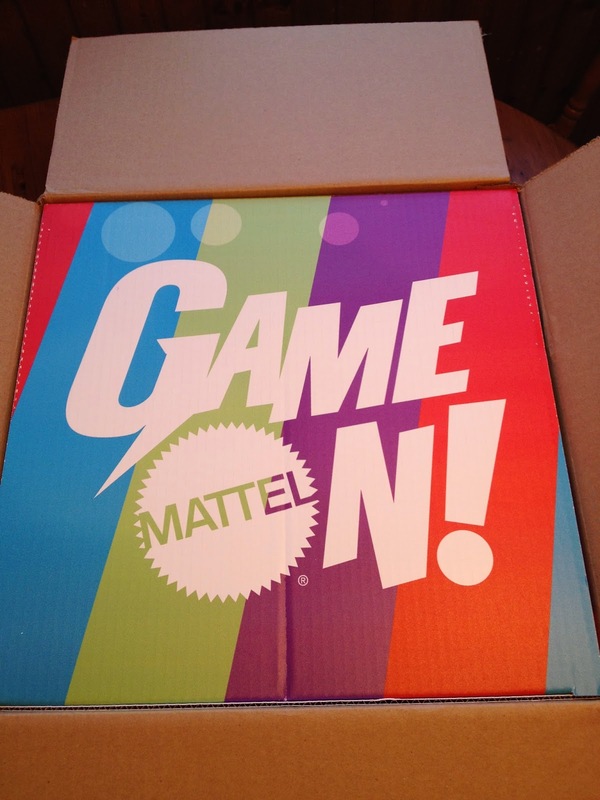 Mattel Game On! is giving away prizes each week on their Facebook Page to celebrate their new mantra – Anytime Is #GameTimeCAN! All you have to do is answer the weekly game challenge on their Facebook for your change to win! Click here for more details on the contest. Good luck to all my readers! 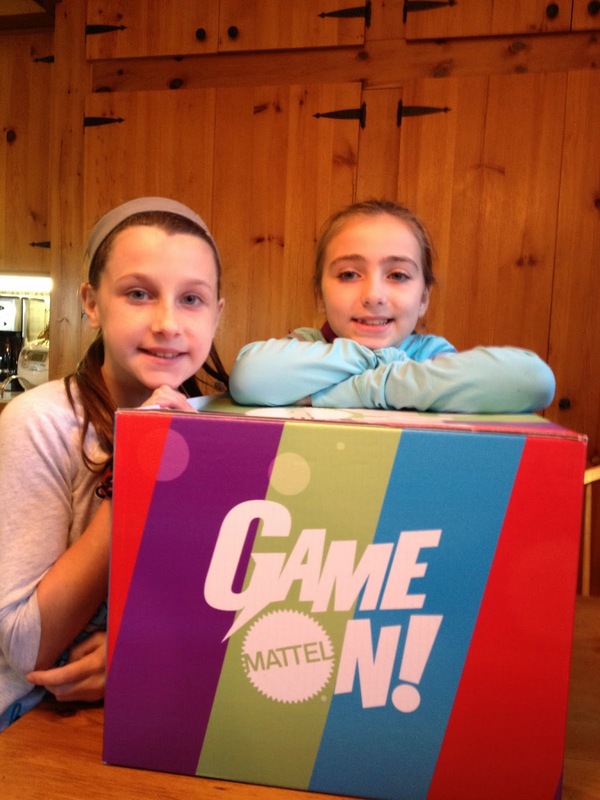 I have one more video to share, this one truly made me very proud to be part of the Mattel – Anytime is Game Time team. Follow along on with the hashtag #GameTimeCAN on all of my social media channels. You never know when I will show up and shout UNO!